Get started with MintDuino, the Maker Shed kit that's perfect for learning or teaching the fundamentals of how microcontrollers work. 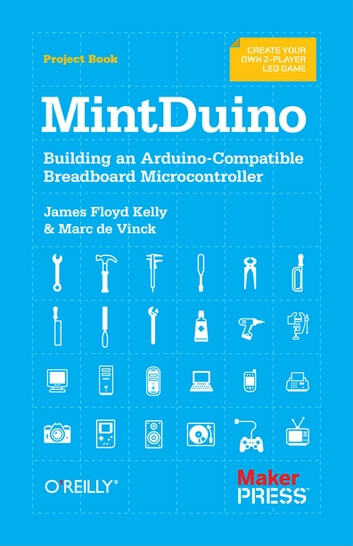 This hands-on book shows you how to build a complete MintDuino project from start to finish. Learn how to assemble the microcontroller on a breadboard (no soldering required), and immediately begin programming it. 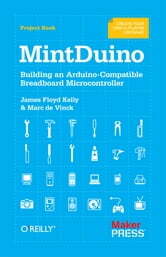 You'll build the MintDuino Reflex Game in five separate stages or sub-tasks. Breaking down a large project into manageable tasks helps you track down errors quickly, and lets you see how each part of the circuit works. Once you complete the game, you'll have the resources and experience to tackle more MintDuino projects. If you’re interested in the fascinating world of microcontrollers, you'll enjoy this book.